Crazy - The Chip's Challenge Wiki - The Chip's Challenge Database that anyone can edit! 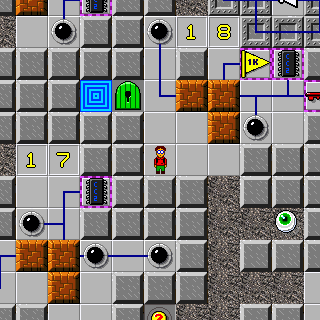 Crazy is the 100th level in Chip's Challenge 2. It was created by Chuck Sommerville. 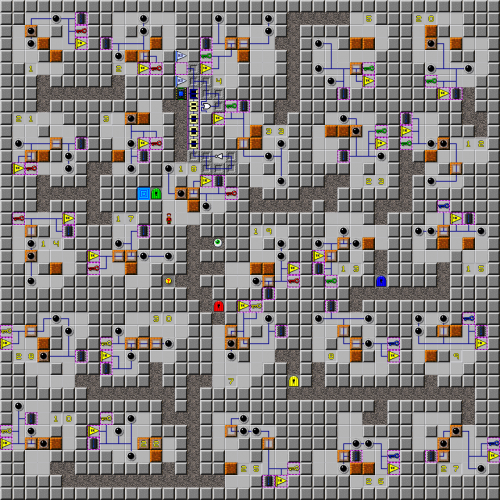 The level contains 26 small Sokoban puzzles which were automatically generated by a computer program developed by Yoshio Murase, Hitoshi Matsubara, and Yuzuru Hiraga of the University of Library and Information Science in Japan.